SQUARE Herbal & Nutraceuticals Ltd. is the first healthcare entity with a robust pledge to create a new era in the field of medication in Bangladesh. Already we have attained the core confidence of our health care providers with the highest quality herbal products of purely eastern and western origin, as well as meeting ever expected efficacy and safety of international standard. Where herbal medicine has created a revolution with its popularity and practice in the developed countries, being a developing country it is our excellence to explore this trend in line with the global competition, to have world-class herbal products available both for domestic and international use. The dedicated, state-of-the-art Cephalosporins manufacturing facility has started its journey since 2006. Square Cephalosporins Ltd. complies with the requirement of international GMP standards like EMEA (European Agency for the Evaluation of Medical Products), UK MHRA (UK Medical and Healthcare products Regulatory Agency), TGA (Therapeutic Goods Administration, Australia) and US FDA (US Food and Drug Administration). The lay-out, design and construction of this stand alone factory were done by Telstar Projects, S.A., Spain. 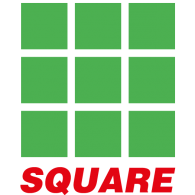 Square Food & Beverage Limited, a successful indigenous food manufacturing and marketing company is strongly committed to deliver high quality products with premium customer services through adoption of advanced technology, stress on human resource development, focus on continuous improvement and introduction of new products for the growing markets since 2001.